AirlineFinancials.com is estimating the eight largest U.S. airlines, starting this week, will collectively report $3.95 billion in profits from $122.2 billion in revenues for year 2010. The average net profit margin is projected at 3.3 percent. Assuming these projections are accurate, this would be the highest annual profit in more than 10 years and the second highest annual revenue ever reported. For this estimate, the eight largest airlines are Delta, American, United, US Airways, Southwest, JetBlue, Alaska, and AirTran. United and Continental merged at the end of the third quarter. 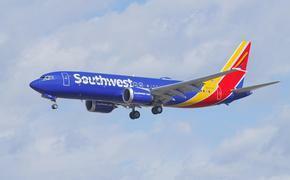 Southwest’s merger with AirTran is still pending. Airline highlights for 2010, based on AirlineFinancials.com estimates, include: First time in over 10 years the airline industry will have a profit in the 4th quarter; for the first time in over 10 years the airline industry will have three consecutive profitable quarters; and all of the airlines noted above, except for American, will report profits for year 2010 and the fourth quarter. Including 2010, only three of the last 10 years were profitable for the airline industry. Since 2001, the eight airlines noted in this report accumulated over $35 billion in net losses. For 2010, the most profitable year in the last decade for the airline industry, on average, only three of every 100 passengers made up the profits. For more information, visit www.airlinefinancials.com.